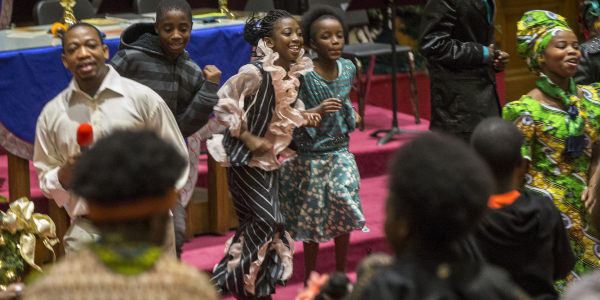 St. Paul’s UMC has responded to the growing population of African National immigrants in our community by developing worship services and other ministries in which the principal languages are Swahili and Kirundi. Under the leadership of Pastor Daniel Niyonzima, these ministries are intended to help the African Nationals in our community grow in their faith and retain their heritage while becoming American citizens. In 2007 Pastors Carol Sundberg and Harlan Gillespie received a call from a St. Luke’s Hospital social worker requesting a pastoral visit for Daniel Niyonzima and his wife, Perpetua, who had just given birth to their eighth child. Daniel explained to the hospital staff that he and his family were immigrants from Burundi and a refugee camp in Tanzania. In his homeland he was trained as a pastor by United Methodist missionaries. He had come to Cedar Rapids to live, work, and continue his ministry with others like him and his family. A close relationship developed between Pastor Daniel’s family and St. Paul’s, with members of the congregation forming a support team to help them adjust to life in Cedar Rapid. Within a year an African National (AN) congregation of 130 was worshiping at St. Paul’s. Over time, this congregation has grown and evolved. 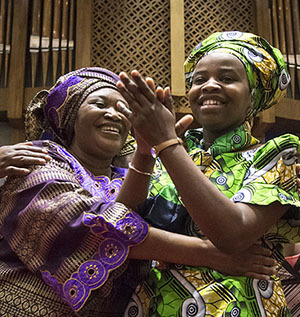 In 2011, Pastor Gillespie consulted the Church Council about African Nationals interested in becoming a United Methodist congregation as one of the missions and ministries of St. Paul’s, organized as any other worship service of St. Paul’s but conducted in Kirundi/Swahili/French languages. On January 1, 2016, Pastor Daniel was appointed to St. Paul’s as a full-time pastor through a grant from the Iowa Annual Conference of the United Methodist Church. Under Pastor Daniel’s leadership the worship attendance continues to grow. The AN worshiping community has connected to the United Methodist worshiping communities of St. Paul UMC of Omaha, Simpson UMC of Des Moines, and St. Mark’s and Asbury UMCs of Cedar Rapids for collaboration and support. 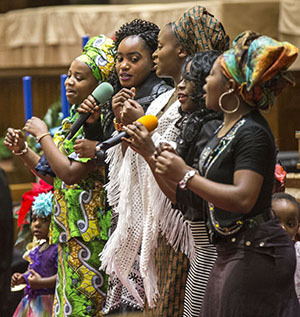 An African National Festival of Cedar Rapids churches is planned for August 27, 2016. Learn about worship services conducted in Swahili/Kirundi by Pastor Daniel Niyonzima on Saturdays and Sundays at St. Paul’s. All St. Paul’s members and guests are welcome and encouraged to attend these services to experience a different way of praising God. Interpreters are on hand to help translate. These one-on-one tutoring sessions are offered at no charge on Tuesdays from 9:15-11:00 am at the church and at Kirkwood Community College. Transportation can be arranged upon request. Kirkwood also offers free English Language Learner (ELL) classes on Mondays and Wednesdays from 9:00-11:30 am. Contact Pastor Daniel at 319-363-2058 or at dniyonzima@stpaulsumc.org or call the church office for more information. Choir participants grow in faith by worshipping God together. Choirs perform during worship services. Practices are held in room 117 on the following dates and times. Practice Saturday 1:00-2:00 pm. Refreshments served 5:30-7:00 pm followed by worship and joyful traditional singing and dance. Contact Pastor Daniel at 319-363-2058 or dniyonzima@stpaulsumc.org for more information. To help with or contribute to the African Nationals ministries at St. Paul’s, contact Pastor Daniel Niyonzima at dniyonzima@stpaulsumc.org, Rev. Sherrie Ilg at silg@stpaulsumc.org, or call the church office at 319-363-2058. Volunteers are needed for tutoring, transportation, and other needs.